Wounded Rhymes by Atlantic at WA Tunes. MPN: 6457949. Hurry! Limited time offer. Offer valid only while supplies last. Stockholm, Sweden's Lykke Li is set to release her highly-anticipated sophomore album, Wounded Rhymes, on her label LL Recordings on March 1st, 2011. Stockholm, Sweden's Lykke Li is set to release her highly-anticipated sophomore album, Wounded Rhymes, on her label LL Recordings on March 1st, 2011. 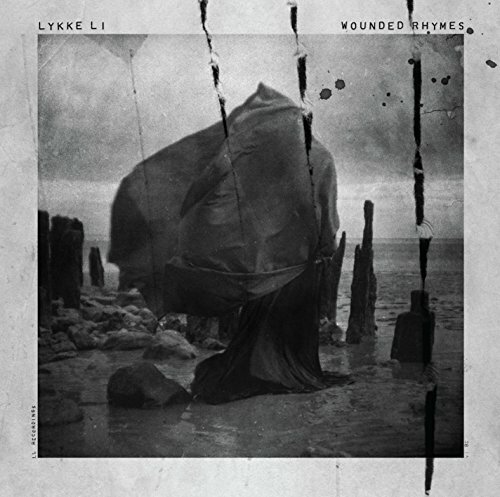 Produced by Bjorn Yttling of Peter, Bjorn & John and recorded in Stockholm, Wounded Rhymes is the follow up to Lykke Li's critically-acclaimed debut, Youth Novels. Wounded Rhymes, is one of the most tremendous records you will hear in 2011. Channeling the demise of The Shangri-La's Leader of the Pack, women under the influence, ladies and gentlemen of the canyon, a Kung-fu Marianne Faithful, and an armed Nancy Sinatra on peyote, Lykke Li has created an eleven song album that sounds like no other. The record is packed full of pounding, voodoo drums, girl group gang vocals, sparkling guitar lines, woozy keyboards, love unrequited, hope reignited and her own very powerful voice, sounding bigger and bolder than ever before. From the hazy 60's organ driving opener "Youth Knows No Pain" to the sparse toe-tap-solo-guitar-swing of "Unrequited Love" to rollicking single "Get Some" to the dense drums of the propulsive "Jerome," Wounded Rhymes is a testament to Lykke Li's brilliant musical voice, one unlike any other.